Home / Education / University / Teaching Hospital School of Nursing, UNIBEN 18/19 form is out. Teaching Hospital School of Nursing, UNIBEN 18/19 form is out. 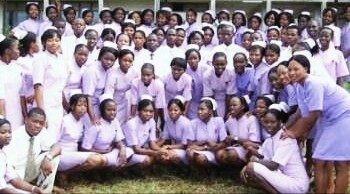 Teaching Hospital School of Nursing of University of Benin UNIBEN invites applicants into her institution's nursing programme for the 2018/2019 session who have the ambition of becoming a certified nurse. This programme is for 3 (three) years with an award of Registered Nurse Certificate.